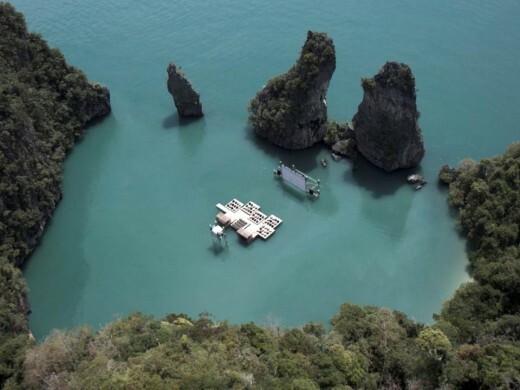 The thought of watching films here seemed surprising: A screen, nestled somewhere between the rocks. 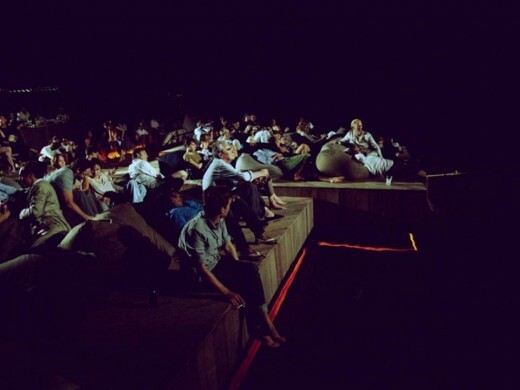 And the audience… floating. 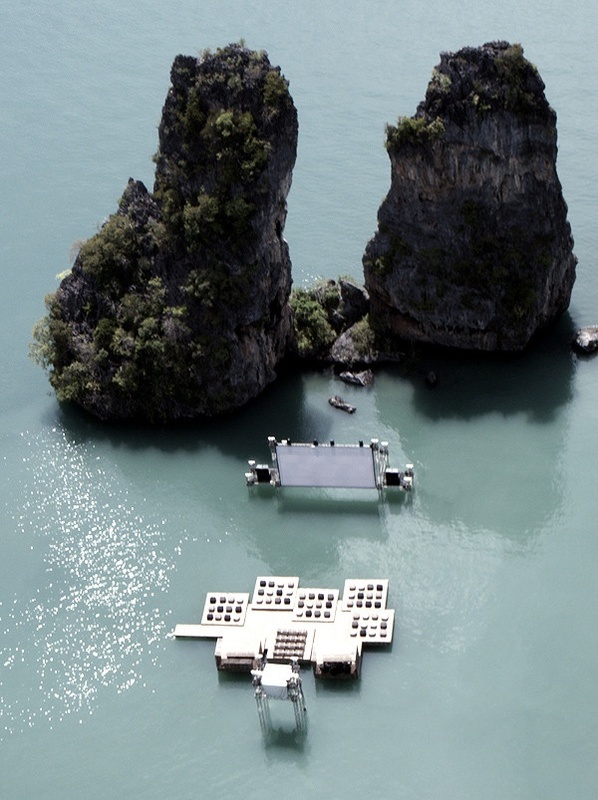 Hovering above the sea, somewhere in the middle of this incredible space of the lagoon, focused on the moving images across the water. A landscape of pieces playfully joined together. A sense of temporality, randomness. Almost like drift wood. Or maybe something more architectural. Modular pieces, loosely assembled, like a group of little islands. 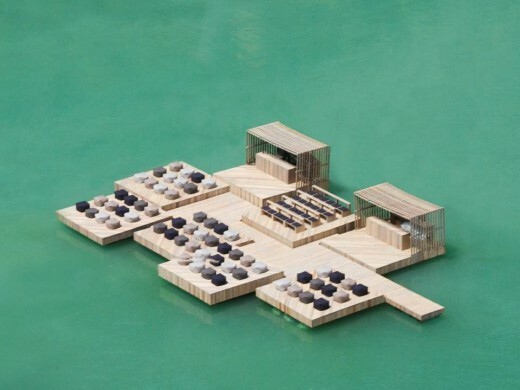 A congregation of rafts as an auditorium. 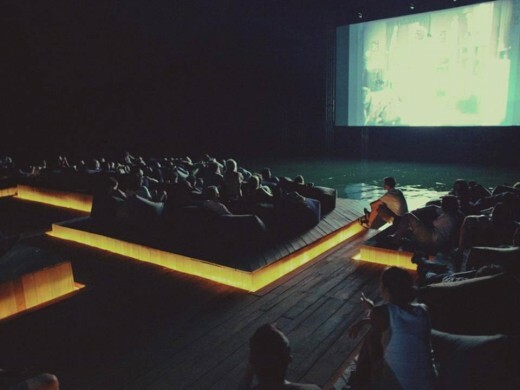 Archipelago Cinema.